Many people are constantly doing everything they can to keep their weight down. With everything from diets that depend almost solely on fruit and exercise routines that keep them at the gym for hours, the global weight loss market is teeming with new products. Even though​ most people will gain back the weight they lost after the first six months, America is ​spending over $60 billion per year on diet products. Among these are the cool and new cold-pressed detox juices that seem to be taking the nation by storm ​with a whopping $100 million market share. 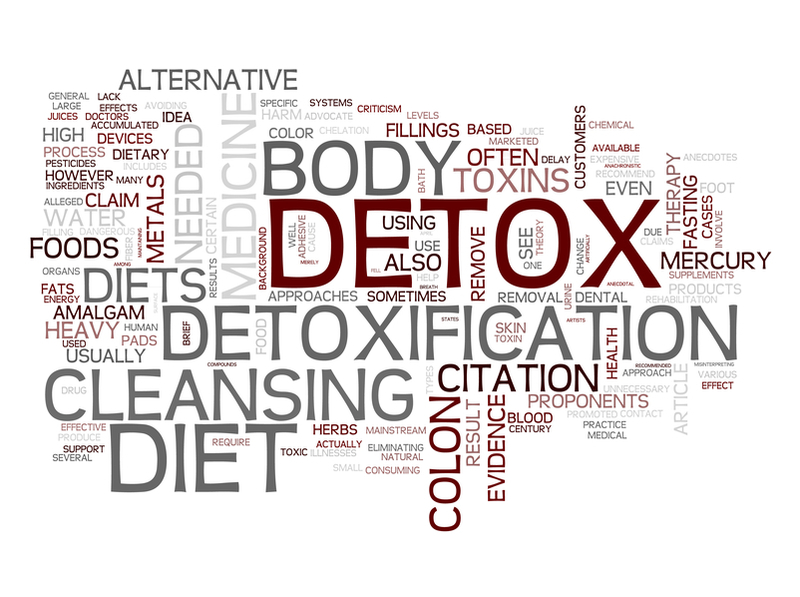 The process of detoxification or a “detox” is the removal of toxins that enter your body such as pesticides, drugs, chemicals, and pollutants. Detoxification is handled naturally by the liver, intestines, and kidneys during digestion. One of the main roles of the liver is to use oxygen from your blood to transform these fat-soluble toxins into water-soluble toxins which then exit your body: 1) through urination or 2) through elimination in the colon. Even though there are many products that claim to offer a detox when you drink it down,​ it is actually impossible for something to simply enter your digestive tract and wash out “toxins” which are being removed by your body on its own. There are two types of juice cleanses: one which adds a bottle of juice to your daily routine as a detoxing/nutritional supplement, and one which completely replaces your entire diet with solely fruit and veggie drinks. Hypothetically, they are supposed to do anything from promoting weight loss to curing cancer, which sounds awesome, and that is exactly why we should be looking into what detox juices actually do before investing hundreds of dollars in a five-day cleanse. Moderation is key to any healthy lifestyle. Exercising vigorously and dieting for short periods of time may make you feel good in the short-term, but nothing beats good habits and supporting our natural bodily functions. That’s why we recommend ​Detox/Flush package, which includes ​O2 Cleanse, ​Para-Clear A, Para-Clear B, and ​Liver Detox. The products work together to minimize discomfort and maximize your body’s natural detoxing with support to the body’s liver and other organs. Our Detox/Flush package promotes a healthy immune system, optimal colon health, and proper digestion and elimination.